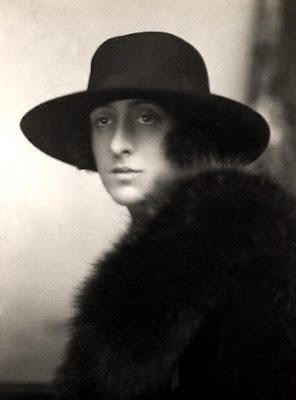 Vita Sackville-West. THE HEIR. A LOVE STORY. Heinemann / Privately Published ('Printed for private circulation.') London 1922. "8vo. pp vi,120. Frontis. 9.5 x 6 inches. This is one of an edition of only 100 copies, printed on hand-made paper, each individually numbered and each signed on the photographic portrait frontispiece of VS-W by her. The limitation statement declares that numbers 1 to 50 were for sale, numbers 51 to 100 ‘for private circulation’. This is number 95. It was the first publication of a story which would later be reprinted a number of times alongside other of the author’s shorter works. It is a short novel which begins:"Miss Chase lay on her immense red silk four-poster that reached as high as the ceiling. Her face was covered over by a sheet, but as she had a high, aristocratic nose, it raised the sheet into a ridge, ending in a point… " It is a deathbed scene and sets in motion the story of a man’s inheritance of a house with which, as the story proceeds, he falls ever more profoundly in love. 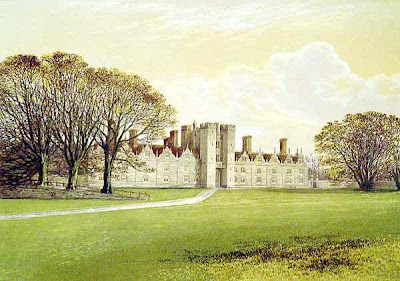 Vita would have drawn heavily for the story on her own relationship with Knole House in Kent where she was born but which, being a woman, she could not – to her everlasting distress – inherit. VALUE? A very slight book, the trade edition has four more stories. For a book limited to 100 it turns up quite a lot. The first 50 copies bear the Heinemann imprint and the portrait of Vita is from the painting by William Strang, the second 50 privately printed with a photo. Both states are signed and there is no discernible difference in price between the although for some reason I prefer the ones with the Swain photo. The bibliography (Cross & Hulme) notes at least 2 states of the binding of the privately printed state, each with different flowaers and one with cream boards, the other mustard. In 2004 an average copy made £200 inscribed by Vita's mother to Alice Warrender. No copies currently for sale at less than £400. It does not seem to be going up in value but in general Bloomsbury prices are holding firm and Virginia Woolf shot up in value about 5 years ago and is showing no signs of collapse. TRIVIA. Some gardening hints from Vita--after much digging and gently bossing gardeners about, she came to form some firm principles. The first was ruthlessness. If some thing was displeasing then change it. Second was not to be too tidy in a garden, let self-seeded plants grow where they naturally fall, wild flowers mixing with cultivated plants in a garden was not a disaster. Thirdly, have an architectural plan, a colour plan and a seasonal plan.